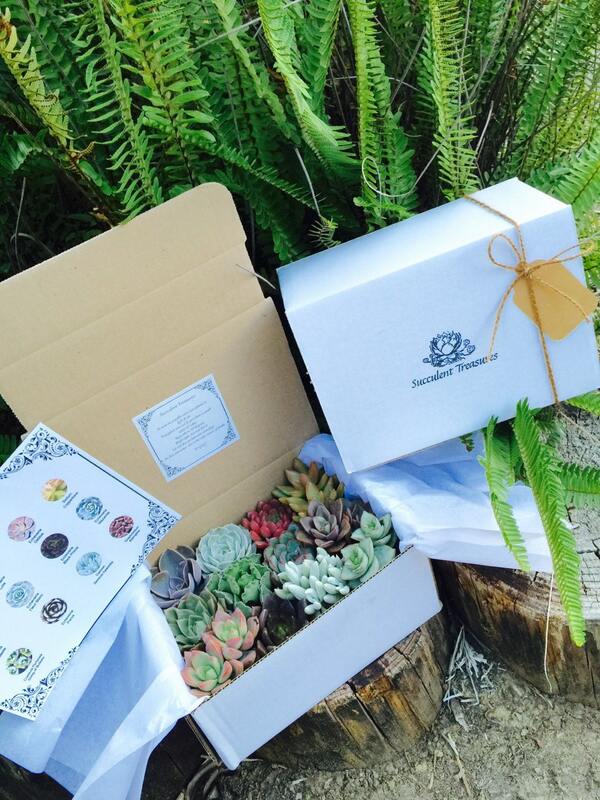 Succulent Treasures Deluxe Candy Box. 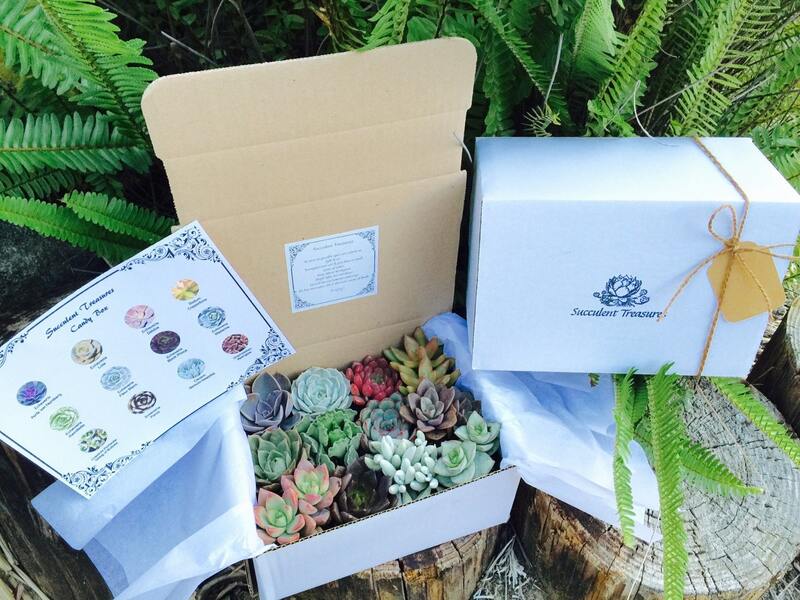 Our Candy boxes are made up of a dozen rare hybrid succulents. 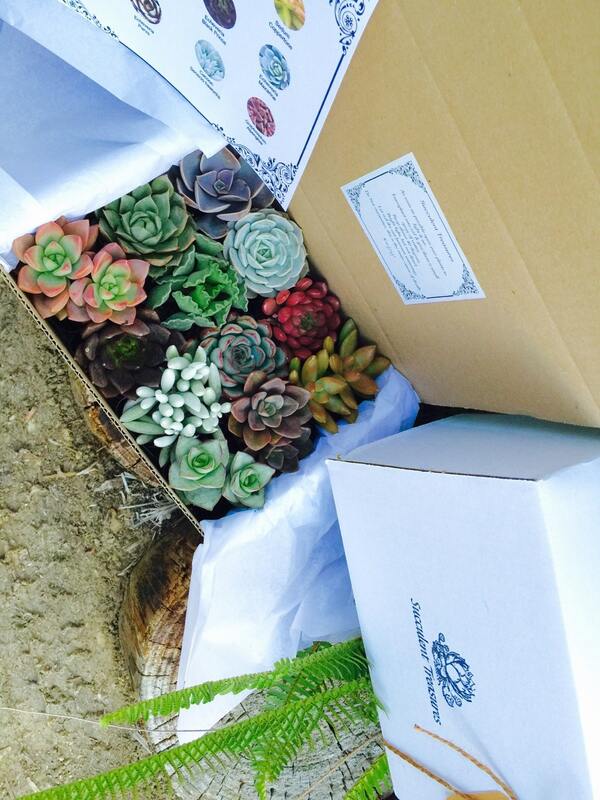 Assortments are of 2.5" full size rooted premium plants. These are a great collection for yourself a friend or a loved one! Always Hand picked hybrids of unique Beauties, boxes will slightly vary. These assortments are of excellent texture, color, quality and are rooted.